Most actual birds use their wings to fly. Doug Bird's wings couldn't get him off the ground, but they did stick out from under his hat. Birds use their beaks for many purposes including hunting, grooming and courtship. Doug Bird used his mustache for many purposes, including saving food for later and courtship, but seldom was grooming involved. Birds reproduce by laying and hatching eggs. Doug Bird once ate 74 eggs in one day. Some birds, like pelicans, can store pounds of food in their gullets. 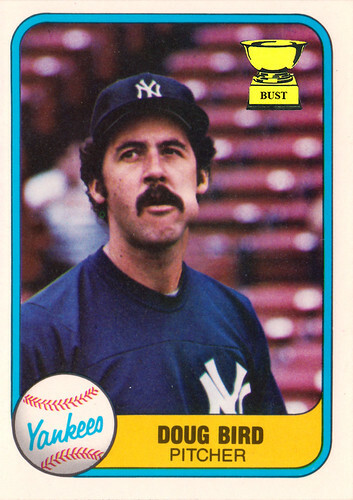 Doug Bird is seen above storing pounds of chew in his gullet. Many birds are lithe and graceful. Doug Bird once tripped over his own rosin bag.